Avoid delays! Order your official electronic transcripts today! 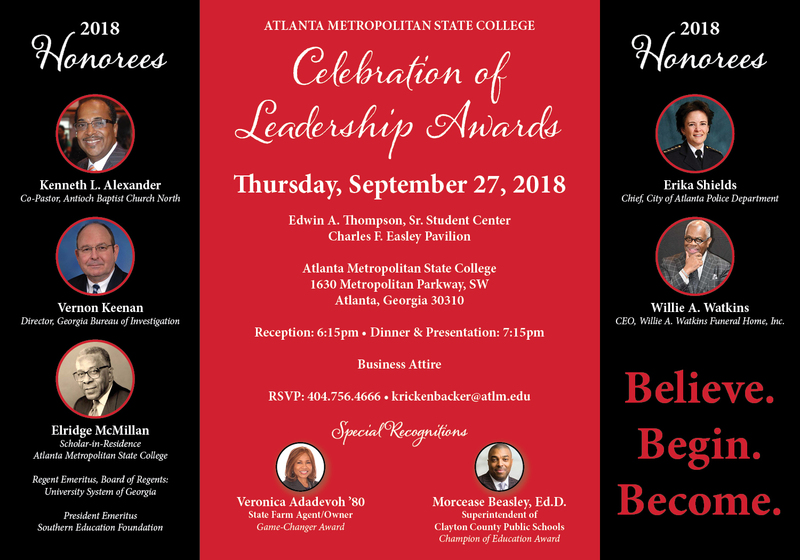 Atlanta Metropolitan State College has appointed Credentials Inc. as the designated agent for processing and sending official electronic transcripts on behalf of Atlanta Metropolitan State College. The PDF transcript that is produced using this service contains the identical information as the printed transcript and can be certified as unaltered by uploading the file to the companyâ€™s website that is provided during the delivery process. Credentials Inc. has been granted the authority to deliver all such electronic transcript requests on behalf of Atlanta Metropolitan State College and respond to any inquiries regarding the transactions.â€ Additionally, all transcript request much be completed online. Each individual has an option to pick-up an official transcript in the Office of the Registrar or have an official electronic transcript sent to the requested party. Please note: The option of sending an official electronic transcript is not available for students who were never given a â€œ932â€ Student ID Number. Students are able to submit request any time during the day or night. Authorize and process your credit card payment online. Customer Service assistance is provided Monday through Thursday from 7 a.m. to 7 p.m. (CST), and on Friday from 7 a.m. to 5 p.m. (CST), by calling 847.716.3006 for help. Electronic facilitation of the authorization to release student records as required by law. Full name, and any previous names. Student ID Number (932) or Social Security number. Complete address(es) where transcripts(s) is to be sent. Confirmation of payment ($3 per transcript). Pick-up Requests must be ordered online: Click here to order your transcript online. Transcripts must be picked-up in the Office of the Registrar located on the 1st floor of the Student Success Center Monday through Friday from 8:30 a.m. to 5:15 p.m. Transcripts will not be processed if the student has an outstanding obligation with Atlanta Metropolitan State College. (For instance, a financial obligation, Admissions hold, transcript hold, or immunization hold. Registrar's hold will delay transcript ordering process). Students are allowed to request transcripts and hold for end of term grades and degree posting. Student who pick-up transcripts MUST show a valid Photo ID and written authorization form. If an individual is picking-up a transcript for a student, they MUST provide a signed authorization form AND a valid Photo ID.